Liverpool were the biggest spenders while Tottenham failed to sign a single player in the recently concluded transfer window. However, one Premier League club which has become a subject of much ridicule for failing to secure any big name is Manchester United. The transfer window in England fell short on many levels given how football fans have been used to seeing a cash splurge every summer by the super-rich Premier League clubs. However, it was not all that sad for all the fans as a couple of English sides swooped in some stellar acquisitions for colossal amounts. While some clubs concluded their business early, there were some which failed to secure their targets by the deadline day of August 9. Liverpool were the biggest spenders and look braced for a fantastic run of games given how they have bolstered their ranks with several marquee players. On the contrary, Tottenham failed to make a single signing in the recently concluded transfer window leaving a rather bitter taste in Mauricio Pochettino’s mouth. However, one Premier League club which has become a subject of much ridicule for failing to secure any big name is Manchester United. Unai Emery made an immediate impact at the Emirates outfit after he replaced the long-serving Arsene Wenger. The Spaniard launched an all-out attack at the transfer market and secured his targets early in the summer. It was not just the early business, rather the nature of signings he made which was extremely shrewd. Emery addressed the goalkeeping frailties by acquiring highly-rated Bernd Leno from Bayer Leverkusen and swooped veteran Stephan Lichsteiner from Juventus to give some competition/mentorship to budding Hector Bellerin. He lured in a proven centreback in Sokratis Papastathopoulos from Borussia Dortmund to forge a solid defence line with club captain Laurent Koscielny. Another summer acquisition of Arsenal that stands out is of Lucas Torreira from Sampdoria. The tenacious midfielder has shown signs of brilliance in the pre-season matches. However, wonderkid Matteo Guendouzi is the one who can really turn out to be Emery’s masterstroke. The French midfielder has shown a lot of promise and looks all set to take his game to the next level. Importantly, the entirety of Arsenal’s transfer business was concluded in just over 70 million euros. History is witness, Arsenal has never been short of talent, especially creative and attacking footballers and their failure to win big in over a decade can be rightfully blamed on Wenger’s stubborn stance over addressing the frailties in Arsenal’s defence. Emery hasn’t done much to the already decorated attacking lineup of the team, but he has heavily armoured the weak defence with proven footballers. What Premier League 2018-19 season has for the Gunners in its kitty is anybody’s guess, but one thing is for sure that Unai Emery has hit all the right chords in his new venture. The Old Trafford outfit might look like a force to reckon with on paper but in reality, they are far from that. If you think the given statement lacks credibility, ask head coach Jose Mourinho, who has spent almost the entire summer lamenting how the Manchester United board has been lax in its approach to secure his transfer targets. Long-serving midfielder Michael Carrick hung up his boots and he was adequately replaced with Brazil’s Fred from Shakhtar Donetsk. Mourinho got a relatively young fullback in Diogo Dalot and backup goalkeeper Lee Grant and that was the end of it. Technically, Manchester United merely replaced one of their departing midfielders and completely failed to bolster the squad with any solid additions. Arguably, Manchester United boast of an elite goalkeeper and supreme crop of attackers but Jose Mourinho is a sucker of defenders. The club has problematic and injury-prone defenders in Phil Jones, Chris Smalling, Eric Bailey and Victor Lindelof. To put plainly, the above mentioned defenders are the only proven centrebacks at Manchester United and their bad record with injuries continue to hamper the club’s chances in Premier League title run. United made an aggressive approach in the dying days of the transfer window to secure Toby Alderweireld from Tottenham but Manchester United failed to meet the evaluation of the defender and deal could not be completed. 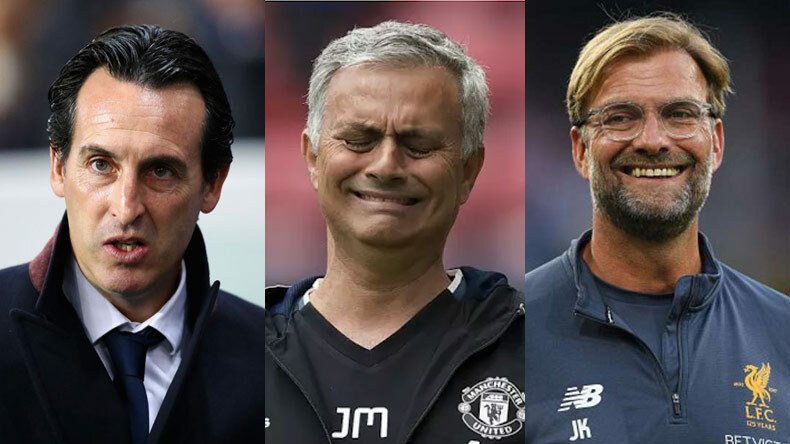 The Red Devils are supposedly the Premier League challengers and with the same crop of players, their chances appear bleak in the Premier League 2018-19 season.